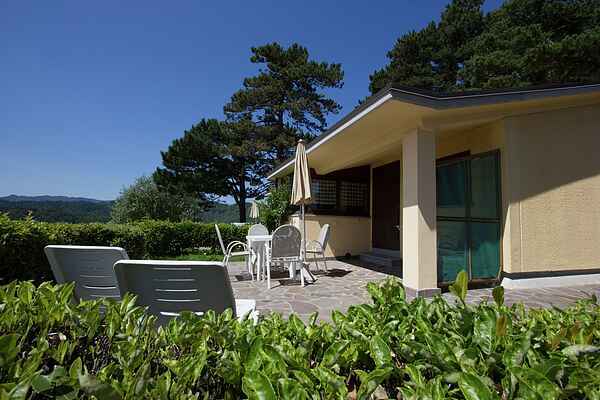 Antico Borgo i Cancelli is made up of 80 holiday homes. They are spread across the estate in rows of 4 or 6 link-detached houses. The holiday homes are furnished in a neat and simple design and have a telephone and a safe. We have three house types to offer. One is suitable for two people (IT-50035-06), one is for four people (IT-50035-04) and the largest is for four to five people (IT-50035-05). All apartments have their own partially covered terrace with seating.